Work for Microsoft Project Server? Learning about MS Project Server?
" 1178/5000 Ideal for project portfolio management." The ability to visualize the projects globally or individually via the web without the need to have the program installed. MS Project has always been expensive, so the cost of licensing is something that does not stop affecting the moment of making the decision, but nevertheless it is worth it. The management of the portfolio of projects, opportunities and reports of resources, Personal, ROI, Etc. It also allowed us to save data center space and onpremise server administration since all the service is in the cloud. the assignment of licenses is very easy and allows us to have a better licensing control for the users that have the assigned product. "Excellent To Manage Your Portafolio Project, Still Number One"
The direct support from Microsoft is hard to contact and you have to pay an extra for each case you open, and on my experience you maybe not solve the issue that you have. You have to contact a expert to take the best of the project and could do a good integration with the ecosystem, this is a mandatory that you have to do to have a better experience at least you have an expert in your company. Find a good Microsoft partner with experience in implementation and integration with your actual environment. You can implement only the project very easily the best to explore all the capabilities is integrate with your exchange, office, lync, etc. I have always favoured MS Project releases over other project management tools on the market. The reason is simply due to its ease of use and wide capabilities. Its a simple fact that majority of IT projects can easily be managed by the platform, whether it be a single project, a programme with multiple subprojects or a global portfolio of deployment projects. Its compatibility with Office 365, Skype and Sharepoint. In fact, integration with Office 365 is the number one driver for SMB project managers wanting to invest in MS Project, MS Project shares a familiar interface with other Microsoft products, such as Excel, which makes the program intuitive for many users. This is important for companies that work with clients as client preference or level of familiarity with a certain tool or operating system. COST, The high cost of MS Project is a recurring complaint we see in both user reviews as well as hear from SMBs looking to replace the system. The cost for the desktop plans (Project Standard, Project Professional and Project Server) is such that SMBs can only reasonably expect to purchase a handful of licenses. This in turn causes issues with collaboration and sharing information in real time with both the project team, executive stakeholders and external clients. There are for users in another way as well: The number of tutorials and guidance videos available online is astonishing. When searching for videos on YouTube. Project Standard, Microsoft offers Gantt charts for project planning and timeline visualization, the ability to link dependent tasks or create sub tasks and the ability to set baselines for tracking progress. From there, capabilities scale in the higher-tier packages, Project Professional and Project Server. It captures all the necessary information and is almost infinitely customizable to your needs. It's very cumbersome and takes a long time to set up, deploy, and update schedules. My users and teammates are constantly giving me negative feedback about how confusing the system is and how long it takes them to update their schedules. Be ready to spend a lot of money on a consultant to get you up and running unless you have dedicated staff with knowledge about how to deploy, customize, and administer this product. Keeping track of 80+ projects at 10 different universities across the country. It helps us have a central schedule for all these projects that we can publish to the National Science Foundation (our main funding source), the public, and potential future researchers to plan when they want to do their projects. "Gets the job done, has many features"
It has many features to modify and track your projects in many ways such as dates, status, Gantt charts that show tasks and progress on those tasks, etc.. It provides style options to differentiate projects and tasks.. It has a lot of shortcut buttons on the toolbar so you don't have to manually create new projects or tasks. You can auto schedule or manual schedule tasks and projects. You can track whether a task is invoiceable or a milestone and generate a calendar for other shareholders to see the statuses. You can track how much work has been done on a project and how much time is remaining on it. You can link outside software and trackers to coordinate with your file. It's possible that there are too many options and features that sometimes it gets confusing and you have to click in a lot of places to find options to modify. Managing project deadlines that are customer-focused, communicating invoices and project milestones. So far I can't figure out how to compare multiple project timelines, I don't know if I just am not looking correctly or it isn't available. It's also kind of confusing how to nest different levels of tasks, and changing them around messes with all the due dates and such. May be more useful to have a tutorial or quick training session before you waste a bunch of time doing trial and error to get the hang of it. I'm a project engineer, so I use it to organize and set out timelines when projects need to be done. I like that with project I can keep up with my own projects. I love that I am able to put in a certain date and the tool will tell me when a project should complete based on the timelines I have in place. The only thing I would say it that the product could look a little more up to date. Just keep advancing towards what's new. I am solving the business issue of being able to know exactly when a project should complete. 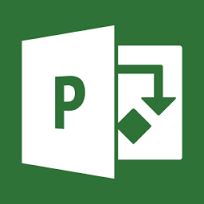 I like that Microsoft Project as many different project you can use it for. It isn't just geared toward the IT side of projects. The only thing I would like to see integrted are more graphs. There are many things you can plug in with the software thought. Take your time to learn it. I was managing everything in Excel, so it took me a little bit of time to get used to the product. Use google for any questions and remember to use the version you have assigned to you. Having everything in a central location really helps in the bigger projects. "Project Planning and Tracking Software that hasnt kept up"
If you are Microsoft eco-system this is very well integrated with all the different Microsoft products. It nicely integrates with sharepoint, produces nice reports and has ability to trace and track using the interface. If you have worked in thick clients and in particular Microsoft office suite you will fee right at home. I feel that Microsoft hasnt put enough focus on Microsoft Project. There are better products currently available in the market. It has help manage and track complex projects . Its one of products that we have been using extenisevly in the past but are moving away from it now.. The simplicity of using the product. I run our company's PMO all based on this software. I like the way the raw data is easily transformed into reports and always available. We have struggled with finding a way to link up to our finance software (QuickBooks) so there are some manual steps in the monthly billing cycle. It's a great product, developed over more than 2 decades so you can rely on it to perform. Make sure you know exactly what you want from it before setting it up. We run our operations through this platform. All users are tracked via the timesheet facility and our billing is issued off the back of this. We have set up reports to show a myriad of things from forecasting, billing, resource allocation and much more. "Adequate for basic needs...not ideal for complex projects." MS Project works well for simple and basic scheduling needs. The software is intuitive and user-friendly. There are resources readily available when assistance is needed. MS Project does not work well for more complex or intricate scheduling needs. There are many limitations in terms of resourcing (loading and leveling). It appears that the software tries to make assumptions for the user at times, which are not always accurate. MS Project is an inexpensive way to satisfy your basic scheduling needs. The software is user-friendly and easy to use. However, there are limitations when attempting to use the software for more complex scheduling needs. MS Project allows me to create and maintain an integrated schedule to keep track of several different projects at once. I enjoy the ease of use and adding as many variables as possible. Entering date ranges are very helpful in creating a timeline. I dislike that I can't make the timeline itself interactive. There is software that you can upload your Microsoft Project Data too like Workzone - where you can better integrate interactive variables on your timeline. On MP, the Timeline is one solid line or a Gant Chart. I would like more area to edit and show breaks/holds. Having interactive timelines and ability to add Holds, and reasons why variables, would most faster in completion. We are trying to show project timelines, what holds up a project and what makes the project spearhead faster. Gathering this data is very important for current projects and even more so when starting new building plans. "Apply PMI to your Enterprise"
Security of Project server is often difficult to understand. The reporting is lacking out of the box and a few custom settings must be made to prevent users from removing tasks and get a better master view of the overall portfolio. Make sure you use a good partner to implement PS and understand good project management skills. We currently use a SAS model and lease our PS space, and our host is not very good. I would recommend an On-Prem or Project Server Online deployment. With demands of a busy IT department coming from within the department and outside, being able to manage larger infrastructure, software and SharePoint projects is key to our success. Project server allows us to effectively manager our enterprise resources in a single location. "The essential tool for projects!" We must recognize that Microsoft Project Server software is the best project management tool on the market. Being the first that any professional learns to use when it starts in the area and projects. With this tool it is possible management, resources, costs, the rich and manage them! And reporting to internal internal customers. All in one application! Because throughout the project management process I can go from start to finish! Consider KPI for managing presentations! Resolving conflicts with resources for me is undoubtedly a crucial point in using this tool! And being able to present the spending report and compare them to what we're actually using is undoubtedly one of the biggest benefits! "Powerful Project, Portfolio, and Resource Management Tools"
The project scheduling engine, including the ability to assign personnel at a summary or extremely granular detail, provide powerful insights into deliverable dates, forecasted slippage, forecasted personnel needs, and forecasted costs and cash flow. Administrators / power users find the system to be very customizable and expandable. The web interface -- which most people use for interacting with project and resource information -- leaves a lot to be desired. Power users can make it work and get the information that they need, but day-to-day / casual users struggle. Expect to deliver training to the general user community or heavily customize the interface for better user experience. Microsoft Project Server is a very good tool... IF it is properly implemented. This is not a tool that you can simply install -- or subscribe to -- and expect it to meet your needs immediately without some planning, configuration, and training. This tool needs to be taken seriously in order to avoid frustration by all parties involved. Some organizations use Project Server to simply provide a centralized view of all projects and timelines in their portfolio, and others use it to get a handle on personnel utilization and see over allocations. Project delays caused by personnel scheduling conflicts are highlighted, and future demand on personnel roles can help managers make hiring decisions. Strategically, senior managers and executives can centrally review, evaluate, select, and prioritize projects to make the best use of limited project funds. "Easy to use for professionals at all levels"
I recently graduated and began my career in project management. Although my experience working with Microsoft software is extensive, my interaction with project server was minimal. Despite this, it has been incredibly easy for me to learn in a short period of time. The ease of use is wonderful. I don't have many dislikes or issues with project server. This is a great option for us because we are a large company and is very useful from an admin perspective. I'm not sure what the cost-benefit relationship is for a smaller company and from the view of a project manager/similar role. I am a project coordinator, so I focus more on admin for a very large company with many projects. This has been a wonderful resource for me because I am able to view all projects to get requested info and edit them in one place. "Great for handling my projects, but not very user friendly in the web version"
Organizes my projects very well and gives me an easy way to review resource needs across all projects. Not very user friendly in the web version. It is very slow and not all of the options are available for creating status reports. Scoping project resources and timelines for stakeholders and VPs. We work with 30 to 40 core carriers and work many different projects with each them so to have this all in one place and viewable to the whole team makes it a simple solution and a convienent way to manage the project data. "Project Server for Project Management"
Microsoft Project Server is a great tool for most organisations as it is used in conjunction with a family Office product, Microsoft Project Professional. Project Server allows organisations to manage their portfolio of projects using familiar tools. Each project has the ability to have a Project Site that can also be used for documents and standard RAID logs. Project Server also allows team members to submit timesheets for approval that can also feed back into the plan. Project Server can be complex to setup and requires configuration to meet the business needs. Discuss your requirements with a Microsoft Gold Partner to ensure your project is a success. I like that I can use Project Server in conjunction with Power BI to keep executives up to date on an enterprise portfolio dashboard with easy but powerful visuals. There are some limitations until full O365 functionality is implemented for my tenant. Need to have an active tenant to realize full value. Project reporting and coordination made easy, reduction in maintenance and duplication to keep track of multiple projects. Automation is enabled. Excellent product for enterprise & resource management. Can give good insight into resource, task, project and portfolio -level information. Can be difficult to configure and requires significant end-user training to start. Not a good product if you need to use custom line classifications for billing purposes and also not great if you want to book resources for a fixed week, without creating multiple tasks for each week booked. Will the product be used for internal projects or will they be used to track external work (e.g. for another customer or client)? Will you need to invoice off of timesheets, if yes, do you use more than one rate per resource, task, etc. Trying to track time spent with various clients on product implementations and support. We use project server as the basis of our invoicing process. We are currently able to see how and where time is being spent by day, task, and project to create invoices and track progress. "The ideal platform to support and embed Project Management as a business critical function"
It is not a silver bullet solution but if you are realistic and engage with an experienced partner you can make big strides in your project maturity and realise significant benefits in a short space of time. Effective resource management and visibility of current workload and the ability to produce meaningful and timely reports that help management make informed decisions with confidence. "I've used this product from 2007 onwards, Installing, configuring and administrating"
"Easy to figure out with little training"
Microsoft Project isn't especially visually appealing or flashy, but it does what it's supposed to. Once you figure it out, it's very easy to quickly create a project. The basics are easy, but you'll need good training to figure out the most complex and advanced aspects of Project. It's annoying to share projects with people who don't have Project on their computer, as you'll need to save it as a PDF and not a Project file. It's great for tracking large projects with milestones. I like that I can collapse certain areas when they're complete. I like how easy it is to use, especially when working with other team members. Integrates well with the other Microsoft Office Software and it is great to be able to work anywhere I have internet if I use Office Online. I don’t like how sluggish it is when the internet connection is slow, makes it frustrating because it can crash. The permissions granting for other users can be a pain point as well. We are able to be more cost conscious and keep on top of priorities that would get overlooked otherwise. Ease of use and information sharing are great benefits. "When Process and Technology Meet"
When your project teams want to use the tool for process, this is the tool. With resource assignment, time sheets, and financial tracking, you really can have everything you need in one place. Cost of implementation + licensing wasn't justified by the users. Every PM has their own way of managing things and this didn't work for all of them. Timesheets - associating time to a project thus allowing accurate financials. "Gets the Job Done for simple projects"
can be burdensome to setup a large project unless a template is used. Detailed, It is a valuable product for large scale projects. It allows the interface of many team members and the integration of SharePoint Workspaces with project schedules. Adoption by all team members is a must. It is almost useless for smaller projects. All team members have to be users to get the full benefit. Use for large scale projects with great success. Avoid use for projects under 1000 hours. "Microsoft project server review "
The user interface is simple to use and our company is able to publish reports and dashboard using the ms project server data. The loading time of each Gantt can take quick long, as well as saving and and publishing the gantts onto the project server. Our PMO department has been able to utilize ms project to create custom dashboards and reports for use in our daily tasks and project update meetings. "MS Project - An EPM solution "
Incorporation of Microsoft Project Professional in the framework. MS Project Server is a tool who's return will not immediately be achieved. It takes commitment and resilience from implementers to users all around to take full advantage and incorporate features in current organizational processes. MS Project has helped us in portfolio alignment and resource capacity management. The ease of reviewing and sharing projects with others, while finding what project you are looking for. The removal of the resource plan took a bit to get used to but then was understandable after incorporating into Microsoft Project. It is a great way to connect and share via a SharePoint experience. Will easily make finding and storing files safe and quick. Sharing of projects and project timelines with other Project Managers within our company or easy snapshots of timelines with customers. "Project Server as a PPM tool"
Project Server offers great flexiblity for support many PPM methodologies. This can be via configuration or custom development. Some features are not the most intuitive. We didnt have visibility of our projects and programs before using Project Server. This tool gave us the data and visibility we needed to make business decisions. "Project Server ain't for Wimps!" Project Server has very good scalability and flexibility. It can meet the needs of almost any business on that is mature enough to consider investing in a EPM/PPM platform. Usually requires that the business have mature PM (Project Management) processes and/or a Project Server Guru to configure the platform to more business specific requirements. We've achieved EPM/PPM goals in some areas of the business with the added benefit of cross-functional collaboration increase from use of common project sites. Gain insight into the performance of your overall portfolio by identifying trends and problem areas using powerful analysis tools. I like the integration between the project scheduling options and the timesheet options. I also like the different options for reporting. Sometimes, I've found the OLAP cube corrupted and have to re-publish projects and re-synch resources. I would highly recommend Project Server. This tool provides visibility into the type of work being performed as well as the resource forecasting options. We are solving the transparency on what resources are working on. We can also review the capacity against their forecasted work. Project Server is a great tool for balancing resources and helping PMs and management realize when our limited resources are being over-allocated. We also use the timesheet functionality of Project Server which allows us to book time against capital projects, which is very helpful in budget allocation. I also like that Project Server is tightly integrated with SharePoint, since we use SharePoint for a variety of other efforts. There is a bit of a learning curve when a PM comes on board, especially if they have not worked with Project Server before. This has not been a common problem since most PMs have previous experience with the product. Helps keep projects on track and facilitates communication among team members, streamlining collaboration even when working remotely. I can't say I dislike anything, the success of the program lies mainly with the users and that is usually the main issue. Resolving communication issues which were preventing progress when coordinating team projects. "PROJECT MANAGEMENT WEEK TO WEEK "
Any project manager is familiar with the tool and its interface. It's straightforward to use when it comes to assigning tasks and setting milestones, etc.... Integrates nicely with other Microsoft Office Components. Making changes to time estimates isn't always intuitive and for small projects just putting together an Excel spreadsheet with all of the tasks is actually a little bit easier. Definitely use this tool for large scale enterprise wide projects. For smaller projects it's probably overkill. Better Project Organization and delegation of tasks to the appropriate team members along with the ability to keep track of timelines and report progress up to management. "Mixed - used at multiple companies in varying ways"
Carefully evaluate the impact to implement and ensure appropriate levels of support and time planned. Will be more extensive than you think. At previous helped with resource management and integrated project management and reporting vs. using separate disconnected tools. it is easy to place tasks under larger headers. It crashes. Nice that user friendly. Not easy to share with others. "The best of Microsoft - will not let you down"
"It's an excellent tool to manage projects at Enterprise level"
"Can be extremely manual "
I like the capability it has to hook up to other microsoft tools. i dislike how manual the software can be, you really have to program it to make it work. project plans for my clients that clearly outlines dates. "35 yearsa pm using ms projectr server extensively at a huge organization 70K employees"
Customizability based on user requirements. Improved project performance, transparancy and accountablity. 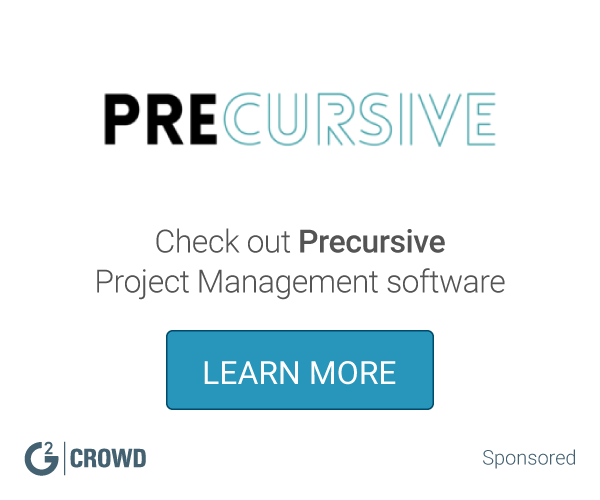 "Project is key for managing large projects "
Learning about Microsoft Project Server? * We monitor all Microsoft Project Server reviews to prevent fraudulent reviews and keep review quality high. We do not post reviews by company employees or direct competitors. Validated reviews require the user to submit a screenshot of the product containing their user ID, in order to verify a user is an actual user of the product. Hi there! Are you looking to implement a solution like MS Project Server?